There’s no doubt that in many countries, including the United States, the population is aging. Low birth rates in developed countries can be due to many factors, but ultimately it means that there are fewer caregivers available for the elderly. By 2050, some experts estimate that there will only be four familial caregivers available for any one senior in the household. This is in comparison to the eleven that were available in 1990. Luckily, there are a number of other rising trends that help seniors retain a high quality of life with advanced technologies for the elderly and in-home medical caregiver service organizations, even when they don’t have anyone else to count on. Despite the bleak statistics, this is probably the best time to be aging within the home. There are numerous technologies available today that were not available in the past, from sensors that monitor potential falls to smart appliances that monitor correct usage. One of the biggest benefits of modern society is social networking and the Internet, that allows seniors to stay in touch with their children no matter where in the world they might be residing. It’s also helpful for health coaching and to provide health assessments from a distance, for seniors that live in rural areas. GPS devices can be used to track wandering seniors and wellness checks on the phone can make sure they are okay. However, sometimes, the human touch is required, especially when there is a medical need, and businesses are stepping up to meet the growing demand in the senior medical care assistance needs as well. Organizations, like Absolute Home Care Inc., don’t just provide wellness checkups, they can offer a wide variety of medical services in the home, from speech therapy to disease management. Certified nursing assistants come to the home to provide nursing care so that seniors can remain in-the-home, even with conditions that might have caused them to leave the home in earlier times. Even specialists like physical therapists and mental health practitioners can be arranged with medical assistance caregiver organizations., like Absolute Home Care. They can provide the type of care that wouldn’t be possible for relatives to offer, even if they were available to be around. 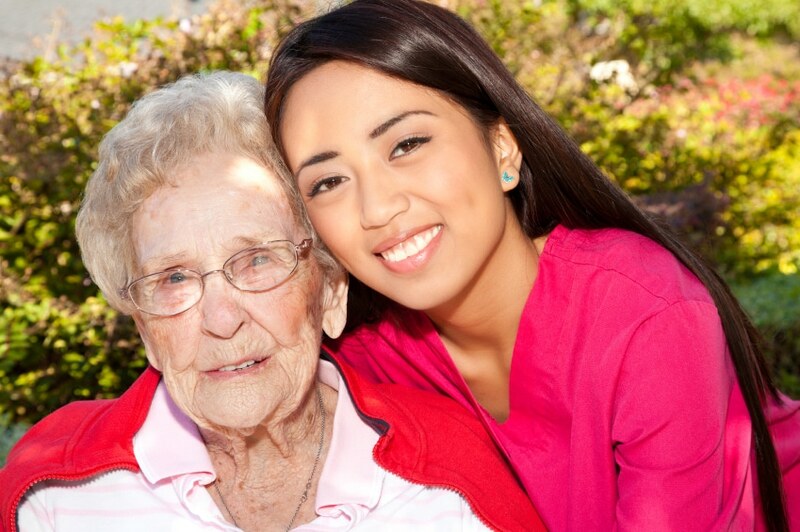 If you’re wondering how you will take care of an elderly relative with special medical needs, you can find out more by contacting Absolute Home Care Inc. to discuss the various specialties available to you around-the-clock and within the home.